They called it “The New Wave” as if half a century more would not pass and make a mockery of the term. It’s like those terms such as modernism and post-modernism. What’s next? Postpostmodernism? YetAgainModernism? It was definitely a new movement, breaking away from the stagy studio and going off into the streets of Paris. 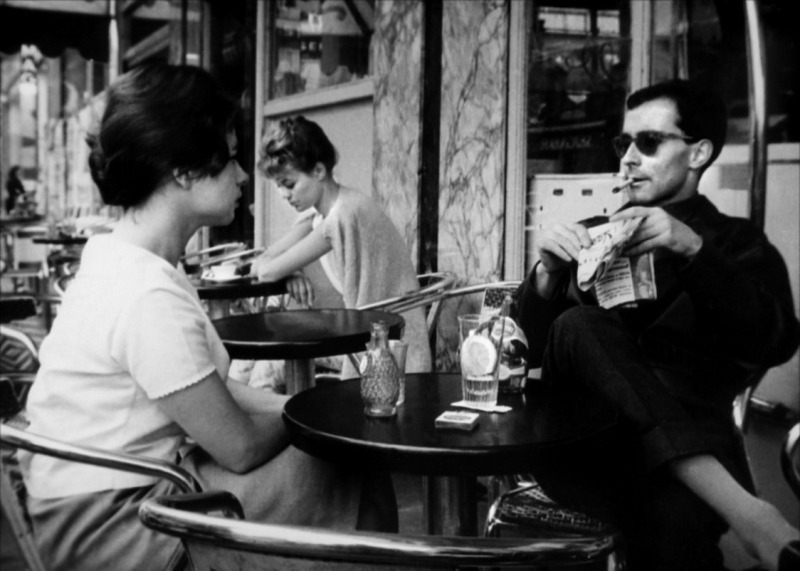 There were a whole slew of great directors, such as Jean-Luc Godard, François Truffaut, Claude Chabrol, Alain Resnais, Eric Rohmer, Agnes Varda, Louis Malle, and let us not forget Jacques Rivette. 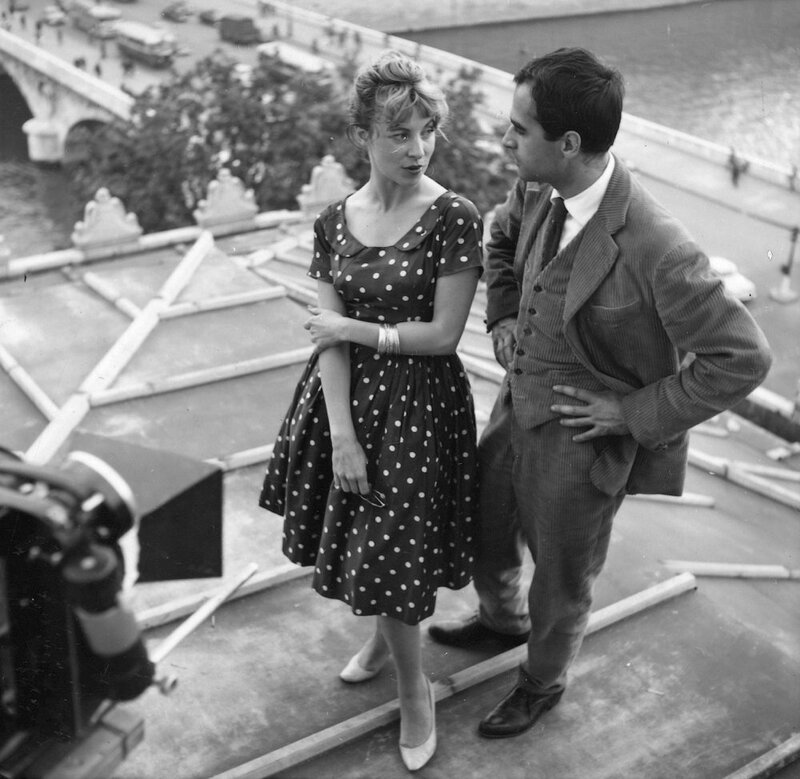 Rivette spent three years in making Paris Belongs to Us (Paris nous appartient). I saw it several times in the 1960s and early 1970s, and I loved the film anew with each viewing. Then the film dropped out of sight. Today, I watched the Criterion Collection version and once again fell for it. Except, now I think I understand the film whereas before I was merely dumbly enthralled by it. This is the ultimate conspiracy film. Betty Schneider (Anne) goes to a cocktail party where the suicide of a talented musician named Juan is discussed. The people we meet at this party will continue to play a part in the film. Anne next attends a rehearsal of a production of Shakespeare’s Pericles, Prince of Tyre directed by Giani Esposito (Gérard). She is offered the part of Marina, the daughter of Pericles; and Gérard begins to fall for her. Gérard’s girlfriend is the Sphinxlike Terry, who seems to ward off everyone. Anne goes in search of a tape that Juan had recorded for Pericles, and runs into several people who knew Juan. One of them is played by director Jean-Luc Godard (below). Other people begin to die mysteriously, including Gérard and even Anne’s brother Pierre. There is talk of a worldwide Fascist conspiracy, a theory fomented especially by Daniel Crohem as Philip Kaufman, an American fleeing the McCarthy hearings in the United States. How did Gérard die? Was it suicide, or was he murdered. It appears that Pierre was gunned down by Terry. Why? There are no clear-cut answers. There is only the persistent Betty, making the rounds of people who might know of Juan’s tape in the labyrinth that is Paris. In the opening credits sequence of Paris Belongs to Us, there is a quote from the poet Charles Péguy: “Paris belongs to no one.” Now, as I write about this film, I want to see it again. This entry was posted in film and tagged jacques-rivette, paris, paris-belongs-to-us. Bookmark the permalink.